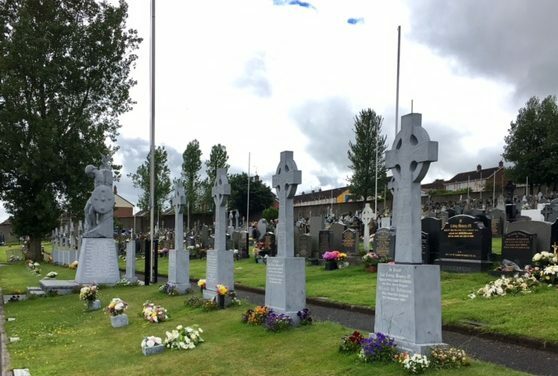 On 15th June 2017, Dr Cheryl Lawther and Dr Lauren Dempster joined Seamus Breslin of Friends of Derry City Cemetery for a tour of the cemetery. The graves visited on this fascinating tour covered Derry’s history from the cemetery’s opening in the mid-19th century to the present day. They included the graves of victims of Bloody Sunday, those who died as a result of the 1981 hunger strikes, and those killed during two World Wars. 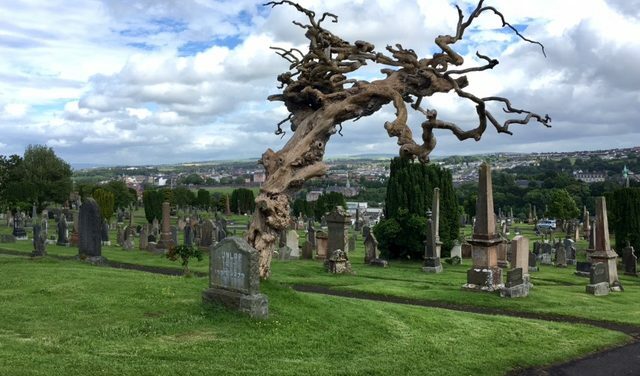 The graves of key figures from Derry’s political, industrial, and commercial past were pointed out by Seamus, as were the mass burial plots of the city’s paupers. Seamus’s interest in, and knowledge of, history made for an extremely interesting tour. He provided valuable insight, covering both widely reported and lesser known aspects of the city’s past.